My inlaws recently moved in with us, while their house is being built. While it's been quite a change for everyone involved, there's definitely been one incredibly huge benefit. They are more than willing to watch the kids so Ward and I can run together. Something we don't get a lot of time to do. Usually the only times we can run together take place in the warmer months when Tucker can ride along with his bike and Izzy can travel in her jogger. With the kids spending some time with their grandparents, it's allowing time for Ward and I to run together. This week I was able to run with Ward three times! Monday night was an unexpected run. I had already gotten in a speedy 5 miles just after school and was tired already as it was. But when Ward came home and suggested I run with him, it took me all of two seconds to say "okay". It was dark and spooky on my road, but I felt completely safe with Ward. Then Wednesday I had planned on running 8 miles. When I was talking to Ward about it, he suggested I run 4 after school and then run 4 later on with he and Wade. Awesome! It meant another night run, but I loved it. We ran on the rail trail, something I've never done at night. It gets really dark down there. Then I had the chance to run with him again today! Unfortunately we are having my least favorite running weather ever. Freezing rain. I can handle rain, and I can hand sub zero temps, but I strongly dislike freezing rain. Apparently Ward dislikes it as well, because I didn't have to beg him at all to run with me on the treadmill at the gym. I only had to ask once and he was on board. The plus side is that I got to run my own pace and got to talk to him, while he ran at his freaking fast pace beside me. I am beyond excited to have been able to run with Ward the three times (and Wade the 1 time) this past week. While I do enjoy my girl time, it was super nice to have some husband and brother-in-law time as well. You guys are getting in some serious run time! that's awesome :-) I get super sick of running by my self and always jump at the chance to get in a run with friends. Keep up those doubles and you're gonna run a BQ next year for sure, YAY!!! 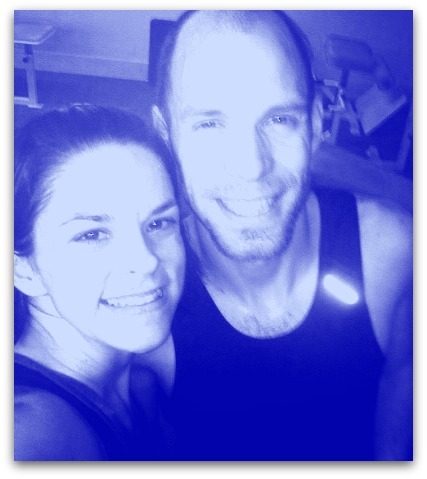 How nice that you can share your passion for running with your speedy husband. Glad your kids are enjoying some extra g-parent time. I'm pleased that my kids are just now old enough that we can leave them at home alone for short periods of time. My husband and I sometimes walk together and it is nice to have that time to connect. Your so lucky that you and Ward enjoy the same activity together!! It's great you guys are getting that time together! Lee, my fiance, and I work totally opposite schedules and he is always super busy as a police officer, but when we can, we try to wake up together to get in a quick workout! How great that you guys are getting to run together more often! I'm sure it's nice to have a change of pace and get to run with the guys from time to time. So fun! I love running with Mike and I can't wait to run with him more after his hip issues heal up and we get back into marathon training. 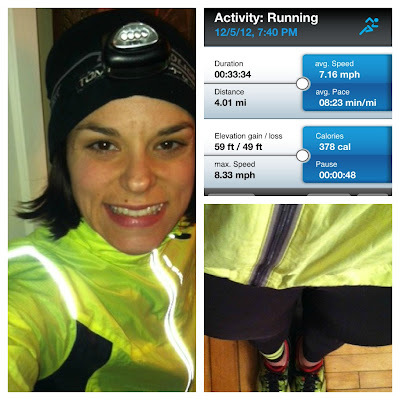 It definitely makes night time or early morning runs less scary, but I will still go out on my own if I have to.